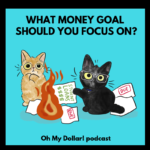 The Feeling of Money Control (Listener Stories with The Billfold's Nicole Dieker) - Oh My Dollar! Something we always say on this show is that money is highly personal. Well, one thing I’ve learned is there’s no specific “accomplishment” moment for when you are in control of your money. For some people it’s being able to buy whatever kind of cheese they want at the grocery store, for others it’s the feeling of not worrying about the next paycheck. 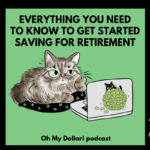 Today is the first episode of our new regular listener stories series, with The Billfold editor Nicole Dieker, where we feature listener’s creative reflections on different financial topics. The next prompt for our listener stories series is “Ramen” – do what that with you will. If you have stories to submit, send them in to stories@ohmydollar.com or tweet them 240-characters at a time to @ohmydollar. The Billfold is one of our favorite personal finance websites creating an honest conversation about money, with one of the most active commenter communities on the internet. Nicole is the editor of The Billfold, and has also written for The Write Life, Lifehacker, Bankrate, and numerous other sites. 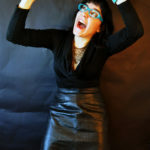 She teaches writing, freelancing, and publishing classes (including online classes), and work one-on-one with authors as a developmental editor and copyeditor. Lillian Karabaic: This show is sponsored by generous listeners like you through our patriarch on this episode is underwritten by the Tamsen G Association and Warrior Queen. To learn more about ways to support Oh my dollar! 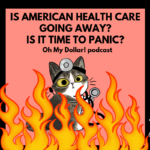 and get cool perks like exclusive livestreams and cat stickers you can visit ohmydollar.com/support. 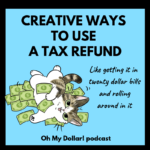 Lillian Karabaic: Welcome to Oh My Dollar! A personal finance show with a dash of glitter. Dealing with money can be scary and stressful. Here we give practical friendly advice about money that helps you tackle the financial overwhelm. I’m your host Lillian Karabaic. Lillian Karabaic: Today is the first episode of our regular listener story series with The Billfold editor Nicole Dieker. The Billfold is one of our favorite personal finance websites, creating an honest conversation about money with one of the most active commenter communities on the personal finance internets. And Nicole has been on the show before to talk about meal planning. Lillian Karabaic: Nicole is a teacher and writer at nicoledieker.com. And today we’re going to talk about a topic that I feel like is so broad *laughts* that it really took stories to kind of pull it. And this these are folks that came from The Billfold community and also from the Oh My Dollar! community something we’ve always said on the show is that money is highly personal. And one thing I’ve learned is there’s no specific accomplishment moment for when you feel like you’re in control of your money. For some people, it’s being able to buy whatever kind of cheese they want at the grocery store. For others it’s the first time they open a retirement account. It’s all over the map. Lillian Karabaic: So Nicole and I are going to listen to some stories from our communities and also talk about our own experiences. Nicole, welcome to the show. Nicole Dieker: Hi thank you for having me. Very excited to be here. Lillian Karabaic: Yeah I’m excited to have you back. It’s been like two years since we’ve had you on I think it has. And yet I’m still meal planning. Lillian Karabaic: That’s -that is good to know. I actually feel like I have personally fallen slightly off the meal planning boat which isn’t to say that I am like – like spending wildly more on groceries. I just kind of live so close – I live half a block from Trader Joe’s. It’s really dangerous because I can be like “oh, whatever you can plan your meal 10 minutes before you make it.” So it’s I feel like that my location has made me fall off meal planning boat a little bit. Nicole Dieker: Fair enough. See I’ve gotten into grocery delivery which is a great way to meal plan because you never have to walk into the store and you can make a little chart that has all the meals you need for the month and ordered just that many groceries since – we can discuss that later. Lillian Karabaic: I mean I think that that is like not to make this whole episode about meal planning but I think that that is like one you live in a place that’s been pretty cold lately. So like grocery delivery, I feel like is just a benefit in that regard but there’s tons of studies that show like if you get – If you don’t actually shop at the store you’ll spend less money and also make healthier decisions around food. Nicole Dieker: So this is true- At least what I found. Lillian Karabaic: We’ll link to the meal planning episode in our show notes, so that people can you know listen to some vintage meal planning advice that’s still relevant. Is it vintage after two years? I don’t know. *laughs* We’ve had like 80 episodes since you were last on so. So, Nicole, I like one of the things that I love about The Billfold is that you do a lot of featuring people’s personal stories and we don’t get a lot of that on Oh My Dollar! except for my own personal stories, which are you know it’s just one person. So I have been really excited about partnering with you and kind of figuring out ways to integrate stories into what Oh My Dollar! does because I always take something away when I read other people’s personal finance. Nicole Dieker: So do I. I have learned so much from The Billfold community. I mean honestly they have helped me with my finances as much as I’ve helped them. Lillian Karabaic: Yeah. No, I mean I think that’s definitely true. I love it when people write in with just tales of their own stories or like specific like “hey I learned that you can get your groceries delivered” or whatever it is. So. Our our topic today that we asked folks to submit on is the idea of when they were first in control of their money. Nicole did you have a moment when you first felt in control of your money? Nicole Dieker: I did. Actually. I – I think that there were two moment. The initial moment where I felt like I could control my money I’m not sure I felt like I was in control yet but the idea that I could control it came right after I graduated from college. I moved to Minneapolis because I thought I would have this internship and I got there and it fell through. So I ended up working as a telemarketer. It was great. <sarcasm> Real, real good job that one and I had you know very little money and I needed to figure out what to do with it. So I went to the library and I checked out “Your Money or Your Life” by Vicki Robin and Joe Dominguez and this is an incredible book that I’m sure you must have read – everyone should read it. Nicole Dieker: But what I started doing after I read it was I began tracking every penny that went in and every penny that came out. And although I didn’t feel like I could control my finances yet, because I was making so very little money that I didn’t have many choices about what to do with it. It gave me the sense of possibility someday. You know if I kept this up and figured out how to earn a little more, than what I was making as a telemarketer. Someday this would pay off and I would be in control of my money. So it was the first step and then. The second part came several years later, almost a decade later when I had enough money that I could live off 50 percent of my income. And that. Made me think of money, as you know what could I start doing with this instead of “what do I have to pay for with this? what bills does it have to cover?” et cetera. It was more like OK if I make the choice to live on significantly less than what I earn: This not only gives me a lot of control, but also a lot of possibilities. So those were the two moments for me. I don’t know about you, if you have a similar story. Lillian Karabaic: I was supposed to move for six months, that was 13 years ago so clearly clearly I didn’t go back to Ohio, but I – I the – the kind of moment when I realized I had enough in the bank to make, to make this jump to be able to be able to do this thing and not have any money come in for six months was a real moment of control for me. And like obviously my means were more limited at seven dollars an hour. Lillian Karabaic: But then another big moment for me was when I got to the point it was working in politics, I was making decent money I was making $49,000 a year which was phenomenal compared to what I had been making before. 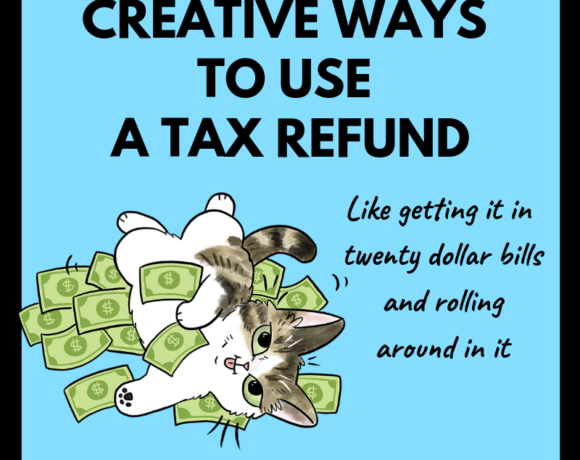 And I got to the point where I was able to just literally ignore my paychecks like they just went straight into my 401K so 100 percent of what I made other than Social Security taxes obviously just went straight into my for a 401k so that I could max it out early and that was a moment of like oh. “You have accomplished something when you’ve gotten the point where you are, there’s just no panic about when money comes in.” And. That really speaks to one of those stories that we are gonna feature today which is just that moment of realizing that you’re not tracking when money comes in. And I think for me. That was a moment of control to realize that I’d gotten to the point, that I had worked to the point that my savings were at such an amount that I wasn’t – I didn’t I didn’t need to track my payday down to the day. Lillian Karabaic: So the first story we have is from Alexandra which is “How two budgeting choices gave me control over my money.” And we’re going to listen to that story now. Will Romey: According to dictionary dot com the definition of control is as follows. To exercise restraint or direction over, dominate, command. Will Romey: The moment I realized I had control over my money wasn’t a finite moment such as I finally paid off my credit card slash student loans slash car but more of a gradual recognition. I started my first big girl old job as a sort of warehouse assistant roughly around the age of twenty three. I was young, inexperienced and a temporary employee for the time being. It was not uncommon to find me waiting semi-impatiently for my paycheck to get deposited every two weeks. I’d only been dipping my toes into the YNAB Kool-Aid for a few minutes at that time but even then it was hard to balance your budget when you had no money to well, budget. But this lack of funds didn’t faze me. I’ve always loved messing around with my money using YNAB and as a sort of Tetris game to see how I could get all of my purchases each month to fit within a cohesive, albeit small allotted amount. Did I spend too much going out to restaurants the past week? Oh well, I have to decrease amount that I spend on my dog. There are two YNAB categories I never subtracted from, even if I managed to overspend in others. Savings and debt. Savings could be a variety of things and I had plenty of savings subcategories within my budget. 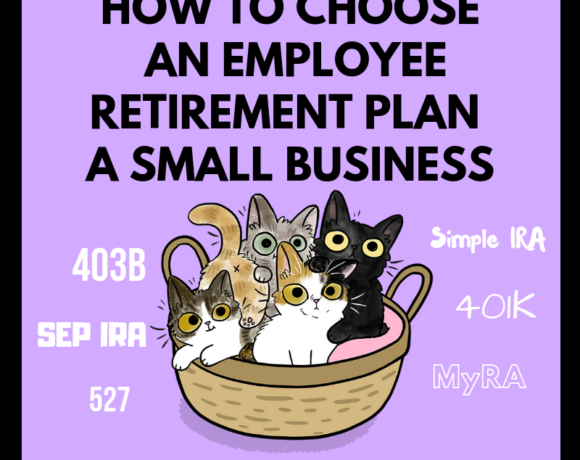 Vacation, gifts, IRA, emergency, etc. always retained their full monthly allotment in YNAB no matter what happened. Debt included student loans and a car loan that I took on in 2014. I’ve been fortunate enough to never have to worry about credit card debt. 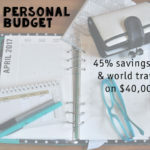 Even though it felt like most of my budgeting involved moving tiny amounts of money around, making sure life savings and debt were always paid in full made a huge difference in my financial life. Will Romey: Week after week, passed by and eventually after nine months of temping, I was hired on as a permanent employee. My student loans and car loan repaid each and every month on time. Thinking about the interest that would be added onto my debt over time was enough motivation for me to increase the payments a little by little. Soon, I was able to meet certain milestones some may consider as finally having control over their finances. I paid off my student loans within two years, paid off a five year car loan in just over three years. I won’t lie, having the weight of both of these debts off my back felt great. Still, it was only a financial accomplishment not financial control no longer having to worry about immediate debt. I started working on my next savings goal. The emergency fund, the advice on how many months this fund should cover varies. So I just opted to shoot for roughly, what could get me by for three or four months if I found myself without a job. This took time and there were moments, when I didn’t think I would ever reach my goal. But with each dollar stashed away, I was headed in the right direction. YNAB confirmed this for me as I watched my net worth gradually increase month over month. My emergency fund was fully furnished after what felt like forever. Much like ridding myself of debt was a great achievement but I was still in control. Will Romey: I have now been working the same company for five years. I’ve changed job titles, gained responsibilities, and increased my salary. Up until this point I never been considered when I realized I have finally had control over my money. It wasn’t one debt paid off one goal reached or any one specific moment, for that matter. Nothing jumped out at me as a turning point that put me into control, until I started noticing one thing: I wasn’t counting down the days until my next paycheck would come in. I no longer found myself adding my paycheck into the budget and immediately allocating all the money towards upcoming expenses. I was no longer thinking “Great. Only another week until I had the money to pay for x y and z.” These days I almost managed to forget that it’s payday. That’s not to say that there aren’t a few times each year when I have to watch my spending, in order not to go over a budget. These days is more putting off a purchase of tennis shoes for a month or two, and not trying to see how much I need to decrease my grocery budget in order to pay a bill. It is my hope that someday I’ll have enough money not to worry about the next payday for now. Now eagerly awaiting for each and every paycheck is enough to make me believe I have dominated my finances. Nicole Dieker: I think. Certainly that what I took away from the story was like you said, being able to not have to wait for your paycheck is a big part of it. And so is decision making – You know valuing savings and debt repayment over other expenses you could have spent your money on. Making the choice even when it’s hard kind of thing. Lillian Karabaic: Yes. Alexandria said great. Only another week until I have money to X Y Z was the way that she used to think about things, and these days that she manages to almost forget that is payday. And I feel that speaks very much to my experience which. I. I think there was a point at which I realized that so much of this personal finance stuff is cumulative and there’s I think it’s hard when you’re first starting out to realize that sometimes it really does just take time. Like you, you like there is an equation to savings and it is like living on less than you earn and time and it it you can’t get there on day one right? Your first paycheck of of earning money, unless you’re starting with someone’s means other than yourself, it’s just gonna take some time. So, I don’t know – if there’s any 18, 19, 20 year olds or even 40 year olds who are starting from square one. I think it’s helpful to remember that. Nicole Dieker: I just want to say that. The idea of not caring when your paycheck comes in is interesting to me because I don’t think that way at all. Certainly I have enough in the bank right now that I could miss a paycheck or two and be fine you know but I have every day I’m gonna get paid on my calendar I’m just because I want to add the money to my pile of savings and and think about what it might do in the future. I don’t. Do you still think that way at all or do you just not sort of? Lillian Karabaic: Oh no I definitely like – So I think one of the things for me is because I get paid out of my business I get I I put off accounting for my business. Also I feel like, My money comes in in such small drips and drabs. Like 30 to 70 dollars because it comes from so many sources because majority of money I make is from from book sales, that I – I don’t get the same delight that I once got. That being said the day that I cut myself a check, that I stopped procrastinating on accounting and I actually sit and cut myself a check and then I send it to myself I do really delight in being able to take that money and you know “Throw it into the next month’s budget categories or transfer to savings or something like that.” And so yes, I still get that moment of delight and I think largely for me that’s because I use YNAB and I get this like “oh yay! I get to put money in categories!” but I also don’t – You know I’m doing this experiment this year which is that, I’m not trying to take on side jobs and I’m just whittling down my savings which is – While I get my business to the point where I can support me full time – And. I it’s like I’ve had to divorce myself from that feeling of panic that I used to have of like “Oh, Yeah sure I’m covered for three months but like what happens if no money comes in in three months” which I feel like was like my dominant anxiety and would cause me to be like oh I just need some money to come in I have to do some side job. And so, I guess I’ve tried to work really hard to divorce myself from that. I haven’t had like a stable paycheck in like three years at this point, so. Lillian Karabaic: At some point it has to right? Like I as much as I think the thing that’s challenging for me is as much as the numbers – I can sit there and I can look at the numbers and I could be like realistically, you would be fine for 18 months right? And I’m like you- And that’s before you even have to talk you know that’s not all of your money that’s just like the money that you’ve allocated for spend, spending on life expenses. That’s not retirement or anything. And, and yet there’s this inner bag lady, which is what I like to call her, who is wildly irrational and she likes to say. “Oh but. That might happen.” You even though like there’s no data to support that. Never in my life, have I gone that long without some kind of money coming in. Lillian Karabaic: Right. I know for sure for sure there’s no data to support that. Lillian Karabaic: I have. It’s just so funny just so funny. I don’t know. Brains. Nicole Dieker: I’m green I saved when I saved that first 500 dollars back when I was using “your money or your life” and working as a telemarketer that was a big deal. I had five hundred dollars. Nicole Dieker: It’s amazing. So I know exactly how that feels. Lillian Karabaic: Yeah and like I don’t even I haven’t even suffered that much lifestyle inflation like obviously rent has gone up a lot in my in my life since I was paying zero dollars to live on a tree in a hippie commune. But like I haven’t suffered so much lifestyle inflation that you know the difference between two thousand dollars and eighteen thousand dollars should should feel so insignificant as it does. But, yea, I don’t know. I think about those things. It turns out that you can’t always explain money anxiety away with numbers no matter how rational you are. Nicole Dieker: And it’s interesting because that was one of the focuses of the other pieces that the billfold is going to run on the subject of money and control. Lillian Karabaic: It’s like when you feel secure that’s kind of a perfect intro into our second story by Laura Marie which is “the first and second and third time I felt in control of my money” which is sort of about the moving goalposts around in control of your money. Amalia Boyles: When I heard the idea of being in control of my money I was conflicted. When did I feel in control? Do I feel in control now? One of the struggles I constantly face, for example, is the conflict between investing where the potential for return and the risk of loss are both greater – versus socking money away in reasonable-yield savings accounts. Nothing makes me feel particularly in control about the potential for loss, or the potential for low returns. However, I can point to three points in my life when I felt more in control of my money than before – in childhood and the first few years of college money didn’t feel like mine. Instead I felt like my decisions were mostly based on what my parents would want me to do. Sure I still went and got 3 a.m. donuts with my roommates occasionally, but beyond a fairly small margin, I felt like I was a custodian of someone else’s money even if I earned some of it through summer jobs and school year gigs at the newspaper. The first time I felt fully like my money didn’t belong to someone else was right after my junior year of college. During the first three years of college, I lived on campus. This contributed to my feeling of being a student not an adult. That May, however my friends and I started renting a house off campus which we each had landed some for a summer job that made it reasonable to live over the summer in our college town. 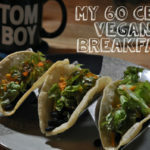 Amalia Boyles: I cobbled together a part time job, and three freelancing clients that made it possible for me to pay rent, gas, eat, save a little for the school year, and have a little leftover for fun. I didn’t spend outlandishly that summer, but there was something so positive feeling like I could command enough work to keep myself alive. I know that my parents and family were still part of my support network and the reason I had health insurance but there was an undeniable change in how I thought about money. I was no longer spending money on behalf of my parents. I was learning how to make choices about my money and manage it well. I spent some of my 20s in travel and some of it in graduate school. But as I turned 26, I got my first full time job with benefits. The thirty eight thousand dollars a year was not a king’s ransom but it still felt incredibly luxurious to me. When the director of H.R. passed me a document, explaining our retirement plans I read over it and committed to saving one hundred dollars a month. After all, she said I could change the savings allowance at anytime if I couldn’t make it work and I had survived on much less income before. Amalia Boyles: I’d always tried to avoid touching my nest egg of birthday/graduations savings but prior to this first job ,I really hadn’t thought about growing my savings or saving for retirement. If I dipped into my nest egg for example, I tried to fill it back up, but I rarely added to it. When I started this job- I was able to decide – kind of, suddenly – that saving was something I was going to start caring about. It made sense to do it when my overall earnings were going up by a wide margin. As I continued to build my career I put most of my pay increases into savings the ability to save, and see my savings grow with each one hundred dollars was a new feeling that approached control being a pretty conservative spender and investor. I have always viewed the money in our investment accounts, as money we could lose at anytime. 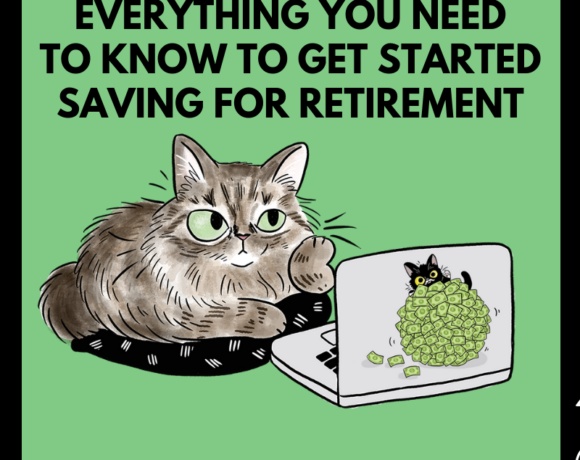 However, over the years my husband and I have saved in diversified ways – extra payments on the house, retirement liquid savings accounts to a point I’m starting to see a way that we could feel secure long term. There are plenty of worst case scenarios that could wipe that security away, but it feels possible now. My husband likes his job and has been with it long enough to command a substantial salary for our areas cost of living, and combined with that and some long term part- time clients, I was able to quit my full time job in December and launch a full-time freelance career. Amalia Boyles: The girl who got four part time jobs in college, or who bravely saved one hundred dollars a month would think I was taking a huge risk by quitting a sure thing for a gamble like freelancing. However, this is part of why this feels like a step toward money control. We’ve built up enough financial security that the risk of freelance work was less than the reward of the flexible work hours, interesting work and potential for self optimization and self management. What’s interesting is that in each of these three scenarios, my definition of being “in control of my money” involved having the freedom to choose a riskier path without fear in the first instance I chose to live with my friends over the summer rather than living at home, for the second, I chose a slightly lower cash flow each month in favor of a growing retirement account. To feel in control, I think I need to feel like I can make calculated risks ones which eventually pay off and greater happiness or greater security. It makes me excited to continue to build a financial base that allows me to take advantage of opportunities when they arise, even though the inherent instability of money will probably always keep my footing a little unsure. Nicole Dieker: I identified a lot with this piece, I’ll tell you. Lillian Karabaic: Yeah right. I I think that something that was interesting to me. So I was making $15 an hour and then I got a raise to $19 an hour and that’s that represents an extra – You know nine thousand a year. And I was at the point where that was what really, really triggered my interest in personal finance beyond just managing my own money but into investing and things like that, because I was like “That’s so much money.” I’ve lived on so so much less like thirty thousand was great because previous to that I’d been you know making ten dollars an hour. And so thirty thousand was already a lot of money to me. So once I made thirty nine thousand I was like “Oh my God I could I could max out a 401k”. Like what does this look like. And that’s what really started me down the path. But then because I spent so much time interacting with people that also were saving high percentage of their income but we’re making like double what I was making, I. I realize that my goalposts had moved. Is that is that a problem for you Nicole like that Talking about personal finance all the time has made you more hypercritical of your own choices? Or do you feel like the diversity of stories that you editon The Billfold has made you kinder to yourself? Nicole Dieker: I mean I’ve always said that we are all doing the best we can with what we have. Nicole Dieker: You know and, I even I’ve interviewed a lot of people about how they do money and sometimes they’ll tell me something that they describe as a money mistake for example. And. I will often push back with well – In the situation you were in at the time. That was actually a very sensible choice, you know to spend so much on this or to, to change to this job or to buy this thing that you realized later you didn’t need. But at the time it was logical. We don’t we don’t often do things that are – That don’t that don’t fulfill a need we have in that moment. So that’s my answer I suppose. Nicole Dieker: So I think your answer was kind of avoiding it. Nicole Dieker: I mean maybe. Ok. You asked me if my goalposts had changed. I’m not sure my goalpost have changed. I do think my needs have changed. 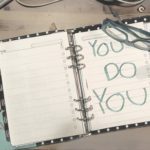 Lillian Karabaic: Do you think that’s influenced by the fact that you you’ve read like one of the most radical financial independence books when you were making money as a telemarketer? Nicole Dieker: Yeah for sure. That definitely helped. But. I guess – Like I have done some lifestyle inflation stuff, I now live in an apartment that has in-unit laundry. Lillian Karabaic: OH my god! Nicole Dieker: For example a coin laundry in the basement. Lillian Karabaic: Me too it it’s the best lifestyle inflation of my life! Nicole Dieker: And I’ve justified that by you know explaining that it’s good for my time or that it’s just easier. And. I am. Able as I’m getting older to deal with less discomfort than I was able to deal with when I was younger Whatever. So that’s you know sure maybe my lifestyle is inflating and maybe my financial goalposts are moving, but I’m still saving a. Considerable amount of what I earn and I’m still I guess operating on what I think the best decisions are based on the information I have at the time. Lillian Karabaic: Yeah I was I was at a – I was at a hostel in London last week? two weeks ago? and I realized at some point that I was 10 years older than everyone else staying there. And the what Someone was like, you know I was chatting with my roommates who were students from South Korea and it was like a twenty three dollar a night like, Bed hostel. And I was there on on a business trip. So I had like pretty extensive per diem. And I I went out to like I don’t know a twenty five pound a plate dinner because it was a nice dinner and the pound was really weak at the time and someone was like I can’t believe you went out for such a fancy dinner and I was like “I did just realize that my dinner cost more than the hostel bed that I stayed in.” But. But this was for me like I I don’t – You know I don’t value fancy hotels nearly as much as I value like not having to worry about where I go out to eat dinner and just like getting food in my face. But it was really interesting to see that reflected in my hostel mates who were like they wouldn’t wouldn’t possibly consider that and I was sort of like “oh well I saved money on my housing. So I don’t really care about the food that I’m eating.” But but at the same time I was like griping over spending eight eight pounds on a uber to get to the airport at 4 a.m. so. Nicole Dieker: Oh for sure. Nicole Dieker: No I was in I was in New York last weekend and I brought my own food. I did eat one meal a day that was not protein powder. I also stayed at the pod Hotel which I first stayed at like my very first trip to New York a decade ago and I continued staying at it since because I like it. I know where it is. Nicole Dieker: And it was an. Nicole Dieker: The which part hotel where you at because I was also at the pot Hotel in New York last week I was at Pod 39. Lillian Karabaic: Me too. At the same time. Nicole Dieker: It was great it was eighty five dollars a night. I love it to pieces. Lillian Karabaic: So I actually paid for my with Chase points. Oh I thought it was gonna be a proper pod hotel but it wasn’t really it was just really tiny hotel rooms. Nicole Dieker: right. Yeah. No you’re not in a capsule you’re just in a room with a bed and a toilet. Lillian Karabaic: Yeah I did a little video tour of that hotel so I don’t know if this makes it into the final edit for the show. I will throw the video tour down in the notes but I yeah – I I adored it because it was in Midtown really close to all my meetings but you can’t find an AirBNB, for that price per night. No. It was free to me because I bought it with points so. Yeah. No that was really delightful hotel room. Nicole Dieker: Which was great. Lillian Karabaic: Whenever I’m in New York I just eat bagels for every meal because I figure I can just store up all my bagels that I need until next time I’m in New York. Lillian Karabaic: Okay. We’re we’re way off topic. This is from Helen who is actually located in China which is pretty cool. Helen in China said “The first time I felt in control of my money was when I was able to pay my mortgage several months in advance. I had always been someone that had struggled to make the mortgage payment as my biggest payment, especially here in China where real estate prices are relatively cheap. But I got to the point where I was able to pay my mortgage several months in advance that month’s money and that was the moment that I felt truly in control.”. Lillian Karabaic: I think it’s a really excellent story. I’m also delighted to find out that we have a listener in China. Lillian Karabaic: I feel like being able to pay things ahead of time is becoming a theme. Nicole Dieker: That’s what Helen is using but it’s such a great tool. Lillian Karabaic: Yeah that is one of my I – I’ve gotten listener comments from Helen before and I’m pretty sure they also started using YNAB I. I. Yeah I love getting to the point where I’m like oh I’ve got out through July I’ve got all my expenses out in YNAB. This is not just an advertising it for one. But you know. Nicole Dieker: You can do this with a spreadsheet if you want you don’t have to get one up. You do not have to get y’know. I just like it. And apparently so does Nicole and I think Helen as well so. All right. That might wrap our show for today. Anything you want to add, Nicole? Where can we find you on the Internet. Thank you for joining us, so much, today. Nicole Dieker: Well thank you for having me. Lillian Karabaic: And we’re going to be doing these episodes I think like once every five weeks or something like that. So, we’re always anxiously looking for your stories and our topic for the next one is just we’re giving you one prompt which is ramen noodles. Nicole Dieker: Oh ho ho ho ho ho. Nicole Dieker: @hellothefuture I guess. Sounds good to me. I’ll read them. Nicole Dieker: I know I should change it. But at this point I’ve got all the followers. Lillian Karabaic: So you know you know you can change the handle you can change your handle on Twitter without losing your followers? Nicole Dieker: Yeah Well, I’ve got a plan for this week. Cool. Lillian Karabaic: Thanks for listening until next time remember to manage your money so it doesn’t manage you. The above audio transcript of “The Feeling of Money Control” was transcribed by the best audio transcription service called Sonix. If you have to convert audio to text in 2019, then you should try Sonix. Transcribing audio files is painful. Sonix makes it fast, easy, and affordable. I love using Sonix to transcribe my audio files.